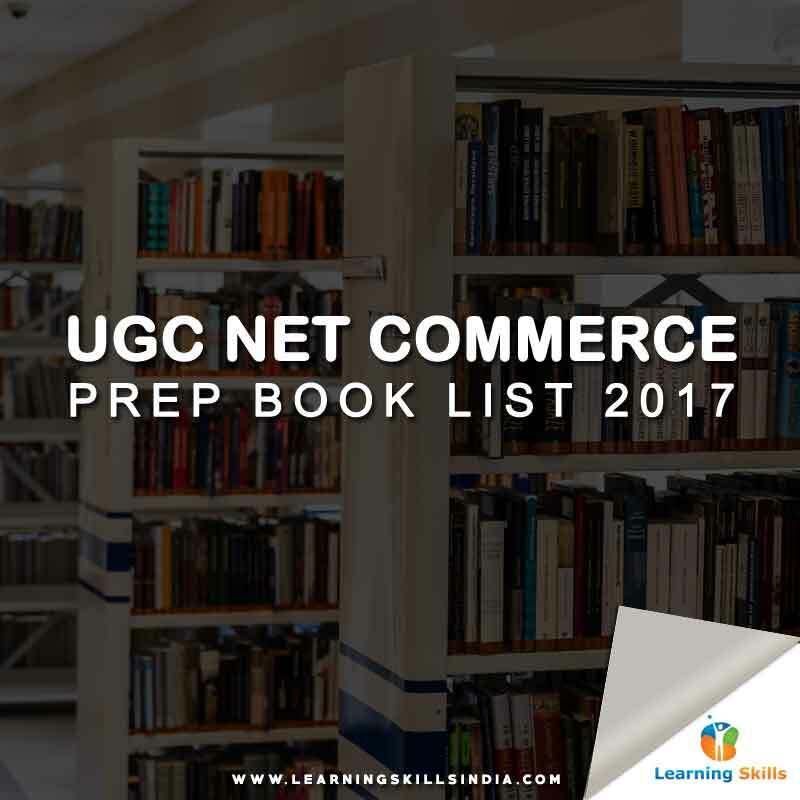 On popular demand, we bring you complete book list for UGC NET Commerce preparation. Many of our followers had been demanding for the final UGC NET Commerce book list. Therefore, we taken out much effort to compile the book list in consultation with our expert teachers and assistant professors from DU. As you already know, UGC NET Commerce Syllabus is quite vast, hence, the book list covers almost all topics. Moreover, while making this book list, we recommend top books for each topic. That’s why, books are given topic wise. Nevertheless, we recommend that this book list should be used only as a reference list. It may not be possible for many to read all the books. However, it highly recommended to read each book. So you’re better prepared to handle any question in UGC NET exam. It is crucial that you score high marks in UGC NET Paper 1 than ever before to qualify for NET and JRF. Our UGC NET General Paper 1 notes can help you to score high that too without much efforts. In an economy, all factors both internal and external that affects the functioning and performance of a company are called Business Environment. As it supposed to be quite a vast subject. Therefore, detailed study of Business Environment is important for UGC NET Commerce Preparation. Accounting is another vast stream of UGC NET Commerce syllabus. Though, it is a part of Financial Management, nevertheless, you will be required to prepare for it separately. Definition of Business Economics: Using economic theory and quantitative methods to analyze business and its factors such as business organization, labor, capital markets, and strategy. The Business Economics subject in UGC NET Commerce syllabus has limited role. Nevertheless, it is most strategic. We have noticed that many questions from Demand and Curve Analysis, Utility Analysis, Cost and Revenue, Pricing Strategies, and Economy Theory frequently repeats in NET Commerce exam each time. Business Statistics as a subject primarily is study of collecting, storing and analyzing business data and information to generate valuable and actionable decisions. Though, Research Methods subject is directly related to Business Statistics. But the later, greatly deals with theories, tools, and formulas that focuses upon collection, storage and analysis of business stats. Often in UGC NET Commerce exam, you will notice that many assertion reasoning and analysis question usually come from Business Stats. The study of business management allows you to understand functioning of business, business activities for profit making, organization behavior, corporate governance, business communication and ethics, markets, consumer behavior, and others. The syllabus of Business Management subject is quite vast. Hence, there may be topical books you will need to cover in order to satisfactorily cover its syllabus. Another major subject in UGC NET Commerce syllabus is Financial Management. That requires detailed study and practice to effectively complete the syllabus. Financial Management is about managing, controlling, organizing and channelizing all financial activities in order to achieve business objectives. A formal setup to manage people within an organization is called Human Resource Development. It’s a vast area of management that’s evolving with new technological advancements, changing behaviors, and market landscapes. Study of financial markets and institutions (banking) is intrinsic part of UGC NET Commerce syllabus. As over the period of time, with introduction of e-commerce and e-payments the financial market system and institutions are changing and evolving. We have noticed lot of questions often comes from international business in UGC NET Commerce exams. Moreover, many are difficult to attend only due to wide array of factual details. Marketing can easily be placed as the top major subject in UGC NET Commerce after business management. As world of marketing is evolving with technological changes and innovative solutions. Therefore, it is important to study marketing in current context. The last but not the least taxation and business law are the trickiest subjects of UGC NET Commerce exam. That require detail study on current tax laws, tax planning, business law, contract law, industrial law, IPR law, and advertising law. Moreover, you will need to read and study various case studies on business laws as well. Because, many times questions from business law are not factual but subjective and application based. That makes really tough to answer. This is final and complete list of books that an aspirant preparing for UGC NET Commerce exam should read and study. In case, we left out on any important book then do let us know. If you’ve any question, then please use comment box below.